Antique ummarked silverplate napkin ring. 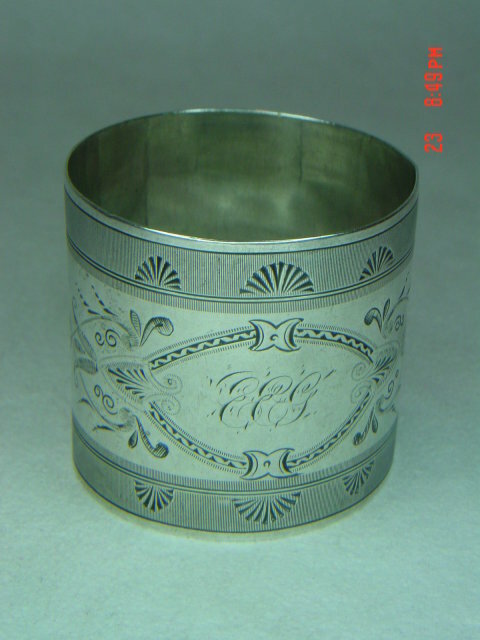 There is an ornate engraved pattern around most of the ring, and the initials EEG engraved in script. 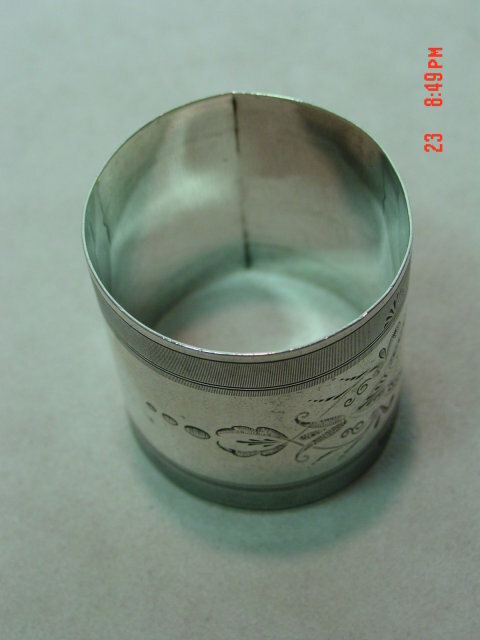 Items Similar To "Ornate Engraved Silverplate Napkin Ring"